Recent updates will apear below, if you have not subscribed to gauge updates then be sure to come back here to see whats new. For more information on downloading updates, click here. [19/04/2019] - Accu-Feel v1.0.006 - Added Glass reflection and Reset to Defaults to Mini Menu. [19/04/2019] - A320 Style Primary Flight Display v1.3.007 - Added Glass reflection to Mini Menu. [16/04/2019] - RPM Gauge v2.3.002 - Added Brightness Control to Menu. [16/04/2019] - Radio Stack v1.2.001 - Added Brightness Control to Menu. [16/04/2019] - Radio Altimeter v2.2.001 - Added Dial Acceleration and Brightness Control. [16/04/2019] - Panel Displays v1.2.002 - Added Transponder Sqwark and Emergency codes. [14/04/2019] - Jet Style Navigation v1.6.002 - Added Bug Style change, Aircraft Mode and background Colour to Mini Menu. [14/04/2019] - PFD Navigation v1.1.000 - Added Mini Menu, Dial Acceleration and Brightness Control. [14/04/2019] - PFD Garmin Style v1.1.000 - Added Mini Menu and Brightness Control. [14/04/2019] - Panel Displays v1.2.001 - Added Brightness Control to Menu. [14/04/2019] - Oil Temp and Pressure v2.3.001 - Added Brightness Control to Menu. [14/04/2019] - Ng % RPM v2.2.001 - Added Brightness Control to Menu. [14/04/2019] - Multi Panel Autopilot v1.2.001 - Added Brightness Control to Menu. [14/04/2019] - Military Hover Gauge v1.0.001 - Added Brightness Control to Menu. [06/04/2019] - Jet Style Navigation Wide Angle v1.3.003 - Automatic Dial Acceleration added, Mini Menu Added, Brightness Control Added, Reflection Added. [16/03/2019] - Boeing Style Primary Flight Display v1.0.008 - Brightness control Sync (All Gauges same brightness Value). Added brightness control to NEW mini menu. [15/03/2019] - Ball Compass v2.4.001 - Added brightness control to mini menu. Brightness control Sync (All Gauges same brightness Value). [15/03/2019] - Backlit Information Panel (BIP) v1.2.008 - Added brightness control to mini menu. Brightness control Sync (All Gauges same brightness Value). [15/03/2019] - B747 Engines v1.0.002 - Brightness control Sync (All Gauges same brightness Value). Added brightness control to NEW mini menu. [09/03/2019] - Attitude Indicator 2.4.001 - Added brightness control to mini menu. [09/03/2019] - Altimeter v2.2.001 - Added brightness control to mini menu. [09/03/2019] - Airspeed v2.3.001 - Added brightness control to mini menu. [02/03/2019] - Manifold Pressure v1.1.001 - Lower ajustment on redzone. [21/01/2019] - Airspeed Cessna v2.2.002 - Added brightness control to mini menu. [20/01/2019] - VOR Gauge v2.2.002 - Added Outer, Middle and Inner Marker flags. 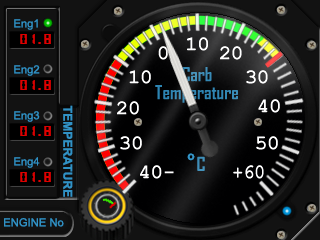 [20/01/2019] - ILS Gauge v2.2.002 - Added Outer, Middle and Inner Marker flags. [11/01/2019] - Boeing Style Primary Flight Display v1.0.007 - Bug on Compass rotation fixed. [28/10/2018] - Accu-Feel v1.0.002 - Fix for when "100" displays as "10"
[31/05/2018] - Ball Compass v2.2.001 - PMDG 747 Compatibility - toggle added. [02/04/2018] - B737 Style PFD v1.0.005 - Fixed Incidence Alpha incorrect on GND. Moved ILS Freq. Added GND Speed. ILS data & Localizer scales only visible when has signal. [20/03/2018] - Every Single Gauge amended to support Constant Variables used for future Aircraft compatibility. No longer checking multiple variables depending on aircraft throughout the gauge. Variables are delcared and changed depending on Aircraft and the constant is used throughout the gauge code. [20/03/2018] - Volts v2.0.000 - Total re-write of numeric output - Now text not number tapes. PMDG Version Included. [02/03/2018] - Clock Analogue v2.2.001 - [S6 Long Press] = Change Second Hand Colour. [04/02/2018] - B737 PFD v1.0.003 Added Max & Min Speed and Manoeuvre indicators [Left Dial] Adjustment. Airspeed red when overspeeding. [01/02/2018] - Airspeed Gauge v2.2.003 - Fixed duplicate tick marks graphics bug in Panel Lighting mode. [31/01/2018] - Oil Temp & Pressure v2.2.000 - Multi Engine support, Press [S6] To select engine number Hold [S6] Toggle Multi Needle Mode. [16/01/2018] - Airspeed Gauge v2.2.000 - Totally new ranges which fixes odd numbers on the dial. 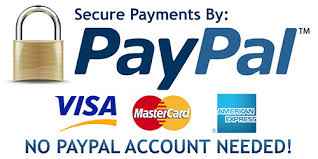 All dial text now divisable by 5. Plus 3 EXTRA higher ranges. [19/11/2017] - a320 PFD v1.3.003 - Altitude "Tens" now scrolls smoothly instead of stepping. [19/11/2017] - PFD v1.0.003 - Altitude "Tens" now scrolls smoothly instead of stepping. Altitude "Tens" & "Thousands" aligned using same variable now! [14/11/2017] - a320 PFD v1.3.002 - Bug on Flight Director Banking fixed. [29/09/2017] - BIP v1.1.000 - Added military style - toggle [S5]. Fixed bug with incorrect GPS/NAV Variable. [28/09/2017] - BIP v1.0.005 - Added blanking plates. When Plate Function in editor = 0 then [S6] toggles plate style. [21/09/2017] - BIP v1.0.003 - Added "G-FORCE", "AUTO THROTTLE", "NO SMOKING", "SEAT BELTS" and 5 x "AFTERBURNER" plates. Only coloured plates go out with power off now. Function buttons light for active function. [24/08/2017] - GPWS Gauge v1.0.002 - Added Nose wheel indicator and Brake indicators. Corrected Spelling. [05/08/2017] - Jet Turn Indicator v1.3.002 - Turns on/off with avionics and no voltage. [05/08/2017] - Jet MFD v1.4.003 - Centered Menu. Turns on/off with avionics and no voltage. [05/08/2017] - Jet HSI v1.4.003 - Turns on/off with avionics and no voltage. [05/08/2017] - Jet Flight Information Box v1.2.002 - Turns on/off with avionics and no voltage. PSI now only red below 30psi. [11/07/2017] - Jet HSI (Green) v1.4.002 - VOR1, VOR2 and ADF pointers only displayed when signal is received for each. [11/07/2017] - HSI Multifunction Gauge v2.1.002 - VOR1, VOR2 and ADF pointers only displayed when signal is received for each. [25/05/2017] - EVERY GAUGE HAS BEEN UPDATED FOR RELEASE OF SPAD.neXt 0.9.6. Please re-download your gauges. [30/04/2017] - Volt Meter v1.8.0 Added Hold [S1] to toggle glass reflection. New snp file format (unzip not required). Dial & switch sounds. [05/02/2017] - VOR Gaugee v2.0.0 - New colour schemes available in mini menu. [03/02/2017] - Vertical Speed (VSI) Gauge v2.0.0 - New colour schemes available in mini menu. [03/02/2017] - VAC and Amps Gauge v2.0.0 - New colour schemes available in mini menu. [01/02/2017] - Turn Indicator Gauge v2.0.0 - New colour schemes available in mini menu. [01/02/2017] - RPM Gauge v2.0.0 - New colour schemes available in mini menu. [30/01/2017] - Radio Altimeter Gauge v2.0.0 - New colour schemes available in mini menu. [30/01/2017] - Oil Temp & Pressure Gauge v2.0.0 - New colour schemes available in mini menu. [30/01/2017] - Ng % RPM Gauge v2.0.0 - New colour schemes available in mini menu. [30/01/2017] - ILS Gauge v2.0.0 - New colour schemes available in mini menu. [25/01/2017] - HSI Multifunction Gauge v2.0.0 - New colour schemes available in mini menu. [23/01/2017] - Heading Indicator Gauge v2.0.0 - New colour schemes available in mini menu. [23/01/2017] - Fuel Multi Tank Gauge v2.0.0 - New colour schemes available in mini menu. [23/01/2017] - Fuel Gauge v2.0.0 - New colour schemes available in mini menu. [15/01/2017] - Fuel Flow Gauge v2.0.0 - New colour schemes available in mini menu. [14/01/2017] - Frames Per Second FPS Gauge v2.0.0 - New colour schemes available in mini menu. [14/01/2017] - EGT and Fuel Flow Gauge v2.0.0 - New colour schemes available in mini menu. [11/01/2017] - Ball Compass Gauge v2.0.0 - New colour schemes available in mini menu. [11/01/2017] - Attitude Gauge v2.0.0 - New colour schemes available in mini menu. [11/01/2017] - Analogue Clock v2.0.0 - New colour schemes available in mini menu. [11/01/2017] - Altimeter Gauge v2.0.0 - New colour schemes available in mini menu. [11/01/2017] - Airspeed Gauge v2.0.0 - New colour schemes available in mini menu. [11/01/2017] - Cessna Style Airspeed Gauge v2.0.0 - New colour schemes available in mini menu. [11/01/2017] - ADF Gauge v2.0.0 - New colour schemes available in mini menu. [17/11/2016] - ADF Gauge 1.1.2 - Replaced number tapes with text. Red LED turns off with power now. [17/10/2016] - VSI gauge 1.5.1 - Bug fix - in 100x feet gauges ranges on needle style needle wasn't moving. 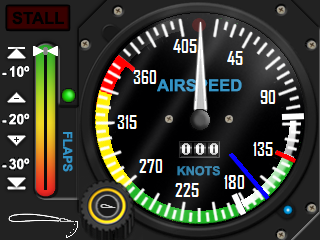 [14/10/2016] - Airspeed Gauge 1.9.0 Major update using dynamic Multi Speed Labelling ! 8 gauges in one now ! [13/10/2016] - VOR Gauge 1.1.0 - Improved menu graphics and transparency, Optional glass reflections. [12/10/2016] - Vertical Speed Indicator VSI Gauge 1.5.0 - Improved menu graphics and transparency, Optional glass reflections. [12/10/2016] - VAC & Amps Gauge 1.1.0 - Improved menu graphics and transparency, Optional glass reflections. [05/10/2016] - Turn indicator Gauge 1.5.0 - Improved menu graphics and transparency, Optional glass reflections. [05/10/2016] - RPM Gauge 1.5.0 - Improved menu graphics and transparency, Optional glass reflections. [04/10/2016] - Radio2 v1.1.0 (COM NAV ADF XPDR and DME) - Removed number tapes and runs on text output only now! Updated menu gfx. [03/10/2016] - Oil Temp and Pressure Gauge 1.4.0 - Improved graphics with shadows and transparency, Optional glass reflections. [02/10/2016] - ADF Gauge 1.1.0 - Added select one of five ADF functions. [02/10/2016] - ILS Gauge 1.6.0 - Improved graphics with shadows and transparency, Optional glass reflections. [01/10/2016] - HSI Gauge 1.3.0 - Improved graphics with shadows and transparency, Optional glass reflections. [01/10/2016] - Heli HoverGauge 1.5.0 - Improved graphics with shadows and transparency, Optional glass reflections. [01/10/2016] - Heli Altimeter Gauge 1.2.0 - Improved graphics with shadows and transparency, Optional glass reflections, Mini Menu Added. [01/10/2016] - Heading Gauge 1.5.0 - Improved graphics with shadows and transparency, Optional glass reflections. [01/10/2016] - Fuel Multi Tank Gauge 1.1.0 - Improved graphics with shadows and transparency, Optional glass reflections. [01/10/2016] - Fuel Gauge 1.6.0 - Improved graphics with shadows and transparency, Optional glass reflections. [01/10/2016] - EGT & Fuel Flow Gauge 1.1.0 - Improved graphics with shadows and transparency, Optional glass reflections. [01/10/2016] - Analogue Clock Gauge 1.6.0 - Improved graphics with shadows and transparency, Optional glass reflections. [01/10/2016] - Altimeter Gauge 1.9.0 - Improved graphics with shadows and transparency, Optional glass reflections. [01/10/2016] - Attitude Gauge 1.6.0 - Improved graphics with shadows and transparency, Optional glass reflections. Number tapes replaced with text elements. [01/10/2016] - Cessna Airspeed Gauge 1.8.0 - Improved graphics with shadows and transparency, Optional glass reflections. [01/10/2016] - Airspeed Gauge 1.8.0 - Improved graphics with shadows and transparency, Optional glass reflections. [01/10/2016] - Jet Style Nav Gauge (Wide Angle) gauge 1.1 - Added switchable compass ring styles. [28/08/2016] - Volts & Generator Gauge 1.7 - Bug Fix on mis-aligned Dial Blue LED. [18/07/2016] - Fuel Gauge 1.5 - Added 4 Tanks (Center 3, External 1 & 2 plus Sim selected Tank), New Tank Selection graphics and Warning LED for ALL tanks now. [02/07/2016] - RPM Gauge 1.4 - Added LOTS of Profile Saved Variables, now RPM gauge setting are saved in profiles so you don't have to keep setting gauge limits when changing profiles. [24/06/2016] - HSI Multifunction Gauge 1.2.2 - Panel Lights graphics glitch fixed. [20/06/2016] - VAC and AMPS 1.0.1 - Slight tweak on rounding voltage values (minor change). [20/06/2016] - Volt, APU & Generator Gauge 1.5 - S6 button now toggles Left Dial Function and added Minimum voltage before electronics switch off variable (controls ALL my gauges electronics). [19/06/2016] - Volt, APU & Generator Gauge 1.4.1 - BATT Switching fixed, was in ALL mode at BATT position. BAT DISCHARGE warning added. [18/06/2016] - Altimeter Gauge 1.8 - Fixed Ground /Sea level bug. Visual improvements in "Mini menu". [18/06/2016] - Attitude Gauge 1.5 - Added "S" Button control of Idents (S2 and S3) and Active Com 1or2 (S4 and S5). [12/06/2016] - Jet MFD Gauge 1.2 - Fixed a few invalid element references, no visible change. [12/06/2016] - Jet HSI Gauge 1.2 - Updated some missing bitmaps and removed invalid references. [11/06/2016] - Helicopter Hover Gauge 1.4.1 - Added turn off powered items (LED's) when no voltage. [11/06/2016] - Fuel Gauge 1.4.1 - Added turn off powered items (LED's) when no voltage. [11/06/2016] - RPM Gauge 1.3.1 - minor update to correct an invalid evaluation, which was still being processed correctly. [08/06/2016] - <NEW> COM NAV ADF XPDR and DME 1.0 (Radio 2) - General Aviation. [06/06/2016] - Heli Altimeter 1.1.1 - Updated Buttons and Dials for SPAD 0.9 format. 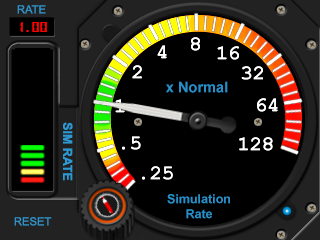 [29/05/2016] - <NEW> Airwolf(1) 1.1 - Themed Gauges for Project X Airwolf. [29/05/2016] - Heading Gauge 1.4.1 Small bug fix where HDG = "360" and not "000". [29/05/2016] - HSI Multifunction Gauge 1.2.1 - Small bug fix where CRS = "360" and not "000". [29/05/2016] - VOR Gauge 1.0.1 Glitch in panel light graphics & Small bug fix where OBS = "360" and not "000". [28/05/2016] - <NEW> VOR Gauge 1.0 - General Aviation. [28/05/2016] - ILS Gauge 1.5 - Ident Listen (Button and Menu) + AP APR Toggle Button added. [22/05/2016] -Turn Indicator gauge 1.4.1 - Minor update to add a couple of extra aircraft styles to the custom graphics option. [20/05/2016] - Turn Indicator gauge 1.4 - Major update. Adding built in sidebar buttons, menus and customization. [14/05/2016] - <NEW> VAC and AMPS 1.0 - General Aviation. [07/05/2016] - <NEW> EGT and Fuel Flow 1.0 - General Aviation. [04/05/2016] - Volt - APU Gauge 1.3 - Bug fix and New switch position "All" generators on/off at the same time. [26/04/2016] - Helicopter Hover Gauge v1.4 with mini menu, built in sidebar buttons, GND warning and 5 needle colour selections. [24/04/2016] - Oil Temp Pressure Gauge v1.3 with mini menu, built in sidebar buttons and Fahrenheit / Celsius toggle. [14/04/2016] - VSI Gauge 1.4 with mini menu and built in sidebar buttons.